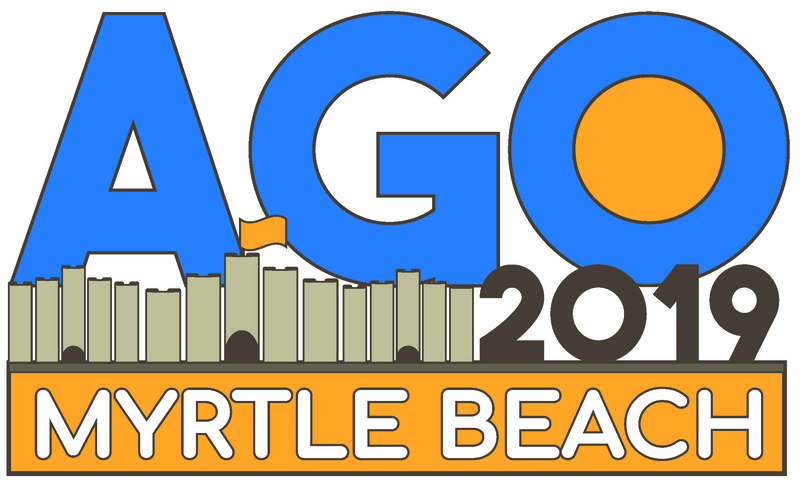 The Grand Strand Chapter of the American Guild of Organists cordially invites you and your family to the 2019 Regional Convention in iconic Myrtle Beach, South Carolina. Enjoy the area's finest organs, the Southeast's most exciting artists, informative workshops and luxurious accommodations in one of the nation's top destinations. Easy accessibility by air or interstate will make your trip a delight. Enjoy the music, learn from your colleagues and make it a vacation experience you'll remember for a lifetime. We can't wait to welcome you and to make your 2019 AGO SE experience the best possible. Thank you for choosing AGO SE 2019 Myrtle Beach today!